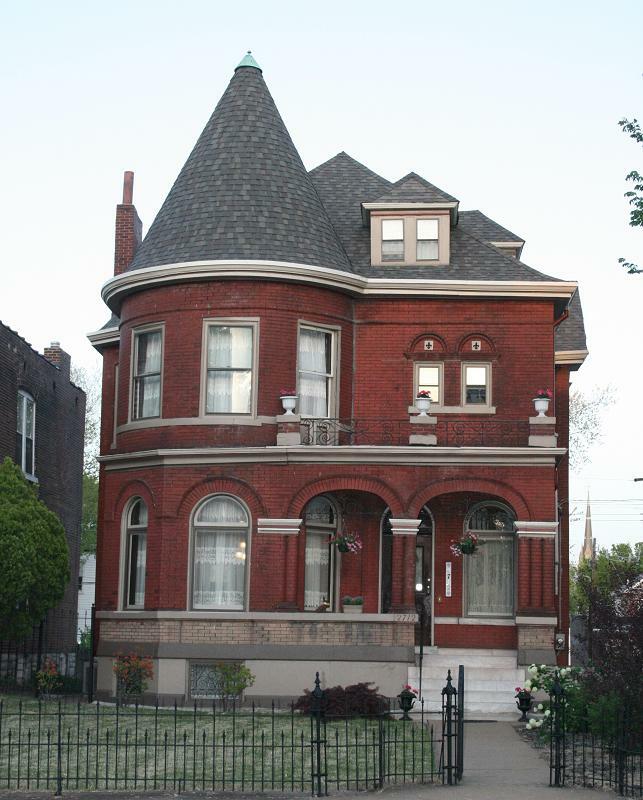 Forget-me-not was built in the 1890s by Severin Prag and is a beautiful brick Queen Anne Victorian with intricate mill work, stained glass windows, and ornate ceiling medallions. Described as a "mini-mansion," it's perfect for a romantic getaway, relaxing vacation, or a comfortable home base while enjoying all that St. Louis has to offer. There are 3 guest rooms each with private bath, one with a whirlpool. A full gourmet breakfast is served each morning, snacks are available 24 hours a day, and the location couldn't be better for sightseeing. Forget-me not Bed and Breakfast truly is the place: "Where fond memories begin"